There is a simple formula where results come from. Thoughts lead to emotions, then to actions, and then you get results. So really all you have in your life today has been the result of the thoughts, emotions, and actions you have taken in your past. When you really get this and realize how powerful your thoughts and emotions are for creating your reality you can then begin to think more positively in little ways every day. Staying in control of your thinking is so important to making your dreams and goals a reality. You simply cannot afford to allow outside (or inside) influences hold you back from creating the business & life you are truly capable of having. At times we may hear a negative inner voice that says we “can’t do it” or we’re not capable of creating the life we’ve been dreaming of having. This is absolutely untrue thinking. There are so many examples of people who are likely no smarter than you and me that have overcome extreme adversity and created an amazing life due to their hard work and determination. They took complete responsibility for their thinking process. But what about when my thinking is negative? Bob Proctor has been saying for over 40 years now that what holds us back in life is a “paradigm.” A “paradigm” is simply a fancy word for a limiting belief system. This “paradigm” is a combination of thought, ideas, and beliefs that have been planted into our subconscious mind over many years from birth till about 5 or so years of age. If those ideas and beliefs were of lack and limitation, the results we get will reflect the paradigm we have been programmed with. What results have you been experiencing in your life? Have you experienced limited results? Have you struggled with money problems & emotional issues like I have in the past? If you have, this is because of the “paradigm” you’ve been programmed with. This “paradigm” can be re-written, yet it will take focus, concentration, and time to create a new paradigm of unlimited possibility. When you realize that you were programmed with your existing paradigm over the course of the first 5 or so years of your life, know that it will take focus, determination, and patience to re-program it. Your greatest challenge in breaking free from a limiting paradigm will be to recognize when the paradigm (A.K.A. “Comfort Zone”) is taking control of your thinking and then to gently shift your thinking to one of positive possibilities. This will take real awareness of what’s going on in your mind daily. It’s also important to be cognizant of what you are feeding your mind. If you’re watching, reading, and listening to negativity daily, then don’t expect your thinking to automatically be positive. The media of this world has a tendency to be predominantly negative. When we are inundated with stories, dramas, beliefs, etc that are negative and limited we are being held back from our true potential. We are being “programmed” with a limiting belief system. Do listen to positive, inspiring audio’s regularly that feed your mind with positivity. Focus on feeling gratitude for things daily as much as possible. As you take daily inspired action toward your intended goal feeling excited during the process you will begin seeing results for your efforts. It may be a little slow seeing results at first, yet in time you will gain momentum as you stick with the process. When you achieve desired results, identify the actions that created those results and KEEP DOING THEM. This is how you can gain momentum in reaching your desired goals. As you continue doing the actions that created the desired results, you can really begin speeding up the results process. 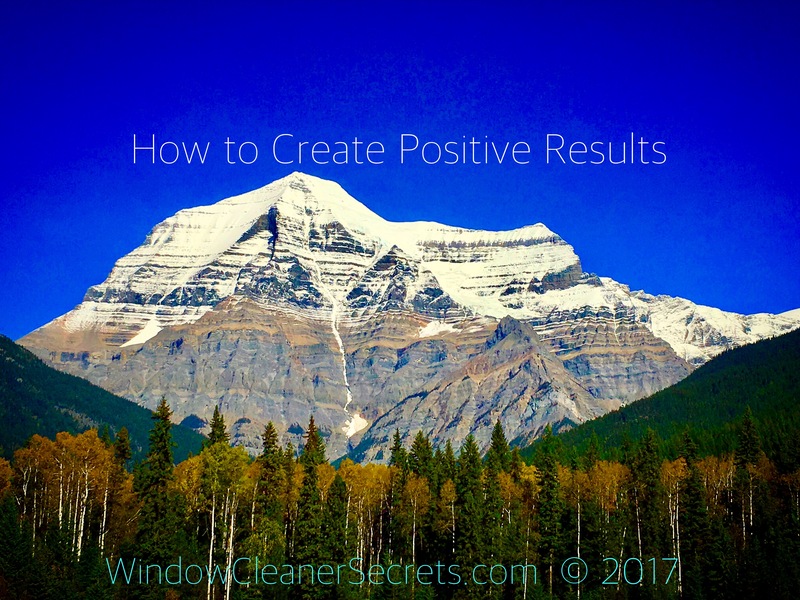 There are many aspects to each of these steps and I could write an entire article on each step, yet these are a few of the fundamentals to getting powerful results in business and life. If you have any questions and/or suggestions related to this topic please share a comment below and click the share buttons below.